While the the United States talks the talk; Canada walks the walk on Latin American business and trade relations. For most nations in the <?xml:namespace prefix = st1 ns = "urn:schemas-microsoft-com:office:smarttags"/>Western Hemisphere, a free market economy, including trade and investment liberalization, is the preferred path to economic and social advancement for their countries. While there are regimes that blatantly reject this course (Cuba, Venezuela, Ecuador, Bolivia, Nicaragua), their economic performance (not to mention capital flight—physical and human) is testimony to the folly of their policy choices. Since neoliberal economics policies (including the “Washington Consensus”) are associated with the Reagan-Thatcher years, one would deduce that on this side of the pond, the United States remains the standard bearer of this philosophy. Regrettably, that is not the case. Antipathy towards free trade is the prevailing attitude in the United States today. While this may be understandable during times of economic recession, when unemployment surges and factories move to, or source from, overseas locales to lower costs and improve productivity (in fact survivability), the truth is the pall of protectionism began to fall over the United States even during economic good times (i.e., the Clinton Years and six out of eight of the Bush Years). NAFTA, Trade Promotion Authority, and the DR-CAFTA accord all passed, but by the thinnest of margins. No. The standard bearer, advocate, celebrant of trade and investment liberalization is not the United States but its neighbor north of the 49th parallel---Canada. Like many small nations (in population size not geography), Canada, like the Netherlands, Taiwan, and Israel, must engage the world commercially to survive. Trade is not a choice but a necessity. And while Canada’s principal trade and investment partner has been—and will always be—the United States, for the last decade Canada has expanded its engagement with Latin America and the Caribbean. In trade, Canada’s exports to Latin America have grown by 95 percent and imports by 53 percent since 2003. 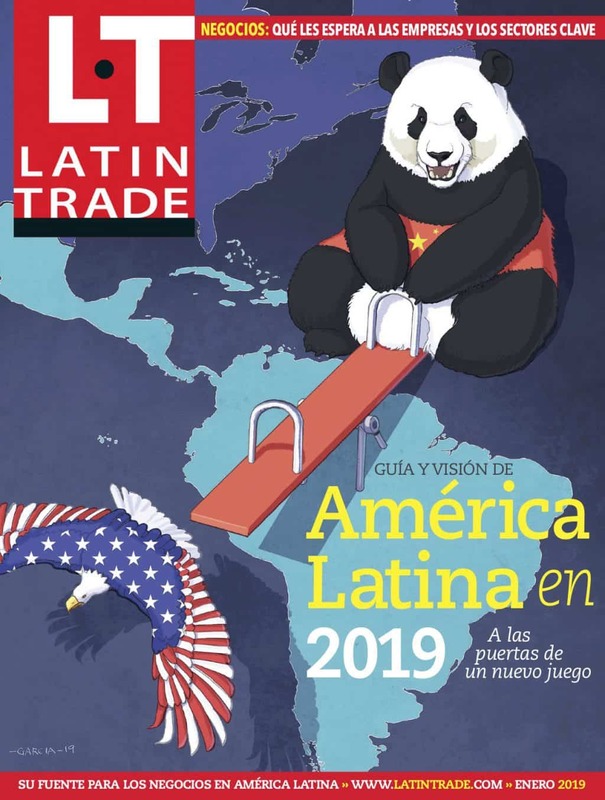 [See the Latin Business Chronicle special report on Canada-Latin American trade]. These flows were concentrated mainly in a few countries: Mexico, Brazil, Peru, Chile and Venezuela. Key Canadian export markets are Mexico, Brazil and Chile; import markets, Mexico, Brazil, and Peru, with wheat, canola seeds, fertilizers, and newsprint contributing substantially. Canada maintains Free Trade Agreements (FTAs) with Panama, Colombia, Peru, Costa Rica and Chile, and has pending agreements with the Dominican Republic, Andean Community, CARICOM, and the C4 (Honduras, Guatemala, Nicaragua, Guatemala). All tolled, the nation will soon have FTAs with 28 of 34 countries in the region. While Canada consistently runs trade deficits with Latin America and the Caribbean, a good part of that can be explained by the private sector’s outdated perceptions of the region resulting in risk aversion as well as a lack of entrepreneurial drive on the part of Canadian exporters, particularly smaller firms. In truth, for Canada’s “passive exporters,” it is too easy to ship to the United States, responding to orders, than to venture into “new territory” even though the competition may be less intense and the opportunity to achieve higher profit margins greater. The Canadian government, on the other hand, is serious about broadening and deepening its commercial relationship with Latin America and the Caribbean. In the vanguard has been its dynamic network of trade offices throughout the region and Export Development Canada (EDC), the federal trade finance agency, which increased lending by 40 percent to a record C$ 10 billion in 2010. EDC financing has focused mainly on infrastructure clients, such as Vale (Brazil), Codelco (Chile), and Pemex and CFE (Mexico). In the realm of outward foreign direct investment (FDI), Canada is now a net global investor driven by natural resources (mainly mining) and financial services. More than 40 percent of its FDI to the developed world is destined to Latin America—mainly Brazil, Chile, Mexico, Argentina and Peru. From 2003 to the present, Canadian FDI more than doubled and today exceeds C$130 billion, if one includes financial services and transfers. While Canadian global leaders in mining such as Goldcorp, Barrick Gold, and Teck Cominco and financial service firms such as Brookfield Asset Management, Scotiabank, Royal Bank, and CIBC are prominent players in the region, other sectors in commerce (Weston Foods, Quebecor World, Agrium), engineering (SNC Lavalin), technology (Research in Motion) and transportation (Magna International, Bombardier) are active investors in Latin America. Canadian Prime Minister Stephen Harper has declared: “Canada is committed to playing a bigger role in the Americas and doing so for the long term.” The bottom line? The United States talks the talk; Canada walks the walk. Postscript: On July 14, the Ontario Teachers’ Pension Plan bought US$564 million worth of shares offered by the Chilean government in two water utility companies, increasing their existing holdings in each by more than 25 percent in each. Jerry Haar is a professor, associate dean, and director of the Pino Global Entrepreneurship Center in the College of Business Administration at Florida International University.